It's the silly season here in the UK and so I couldn't resist showing the picture below. 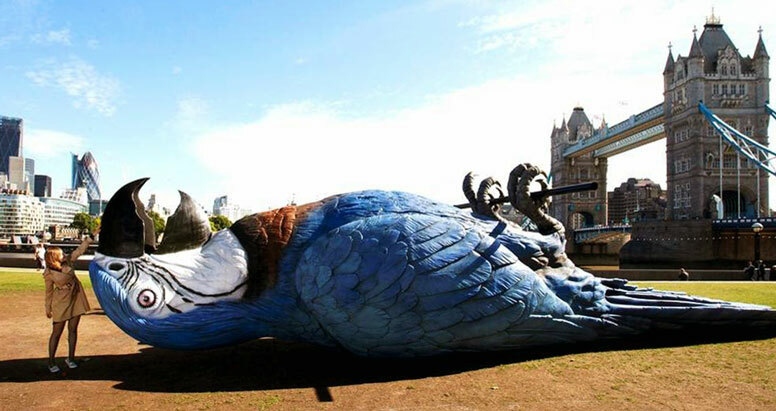 Alluding to the famous "Dead parrot" sketch, a giant 'deceased' parrot was unveiled on London's South Bank to mark the broadcast of the final live Monty Python show. 50-foot 'Norweigan Blue' on London's South Bank. There is of course a Carlton Ware link. 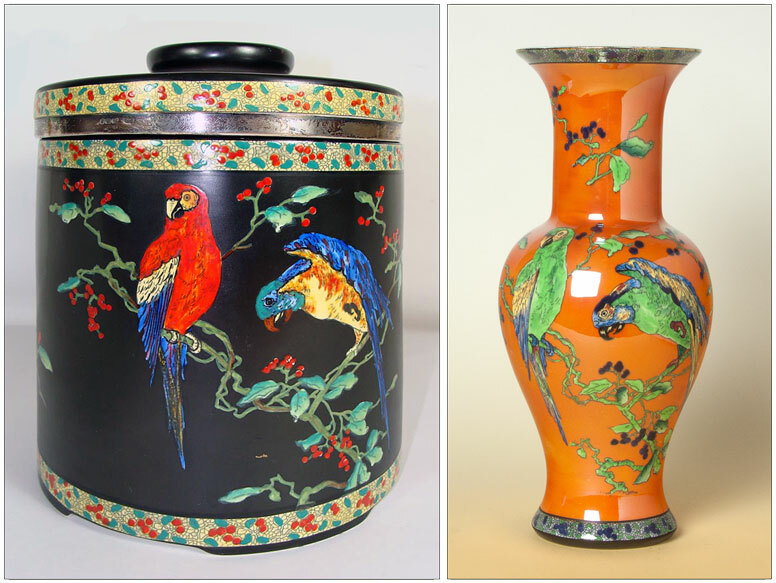 Two views of PARROT 3016 on vase shape 217. The ground colour was called LACQUER GREEN. 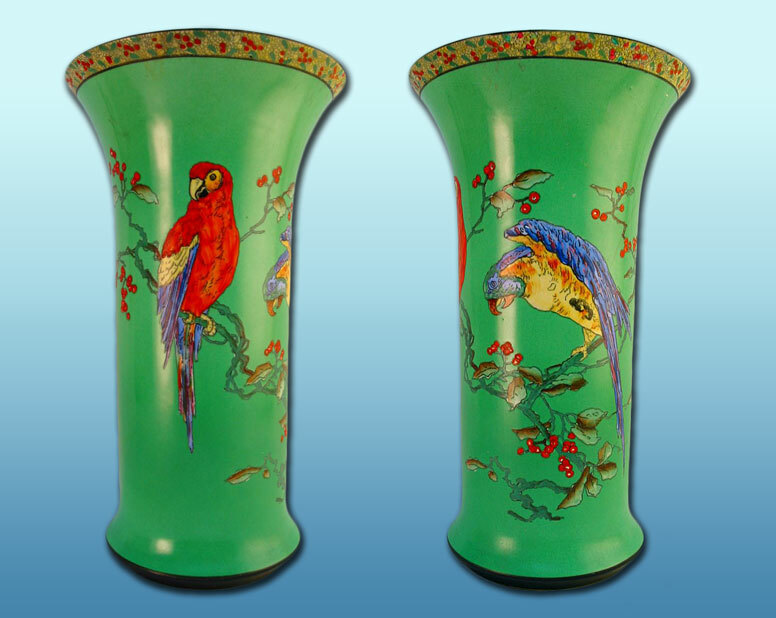 Left - an unusual cigar humidor with PARROT 3071. Right - baluster vase with PARROT 3037. Borders from PARROT. The upper two are printed in black, the lowest one printed in gold. As with most Best Ware patterns, PARROT had its own border. 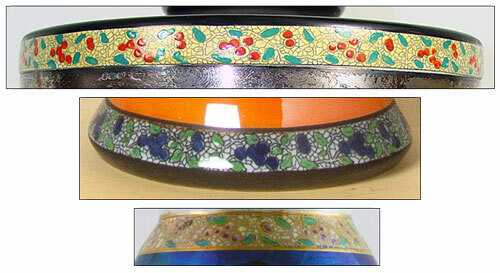 PARROT BORDER was used on its own on coffee ware and sandwich plates.